The Rheintochter 3 was an improved version of the Rheintochter 1. It was 16.6 feet long and weighed about 3,450 pounds. 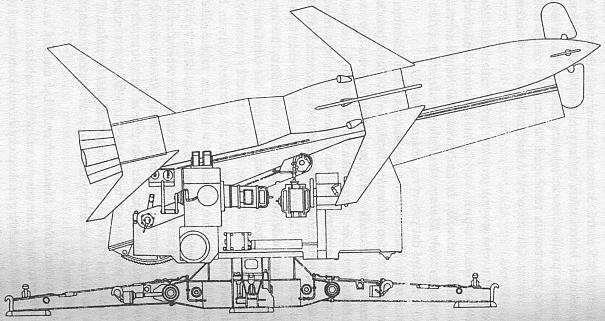 The missile was aided at launch by multiple JATO units, and was powered by either a solid-fueled or liquid-fueled sustainer engine. The Rheintochter 3 could achieve a maximum range of 22 miles, maximum speed of 750 m.p.h. and maximum altitude of nine miles. Laatst gewijzigd door Nicolaas kamstra; 14-07-16 om 03:38. 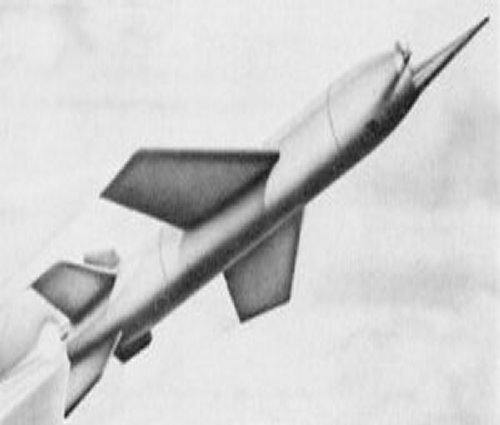 « V-1 en V-2 raketten.